In my naturopathic practice, I have often treated children presenting with symptoms including chronic congestion, rashes and digestive discomfort, which are all indicative of a cow milk intolerance. My first recommendation is nearly always to eliminate cow milk and switch to goat milk, or for younger children, a goat milk formula. The main reason is that goat milk is easier to digest and closer in composition to human milk, so it is less likely to cause these symptoms. But it also offers a host of added benefits for all children. From its nutritional composition, to its proven ability to support healthy intestinal function and promote healthy gut bacteria, goat milk has a lot going for it. It has even been shown to aid in the metabolism of the essential nutrients children get from a healthy diet. Here’s more on why I recommend goat dairy to my patients. Goat milk forms a softer curd (clump of proteins) in the stomach than cow milk and because of this, it passes through the stomach and intestines at a similar rate to human milk. Its fat globules are also smaller and easier to break down. Milk from goats contains almost twice as many short-chained fatty acids than cow milk, which is higher in long-chained fatty acids that can be problematic to digest. Goat milk has a similar amino acid profile to human milk, which also contributes to it being easier to digest. Another similarity to human milk is the naturally occurring nucleotides present in goat milk, which are key to most biological processes in the body and support cell growth and repair. Iron is a critical nutrient for children, who need it for the production of hemoglobin and long-term cognitive and behavioral development. The American Academy of Pediatrics has identified low iron stores in particular as a potential problem for children due to poor intake. But goat milk can help! Healthy bacteria in the gut help children break down food, absorb nutrients and – perhaps most importantly – train the immune cells in the digestive system not to react against food, which can result in food intolerances. Goat dairy provides nutrients that fuel the growth of good bacteria in the gut. For instance, components in goat milk called oligosaccharides have been shown to reduce intestinal inflammation, promote healing, and promote the growth of favorable bacteria. When combined with a healthy diet, goat milk is a great source of nutrition and prevention. That’s why I confidently recommend it for children. 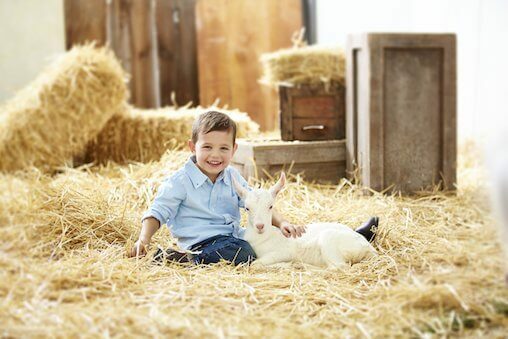 Has your little one tried goat dairy? We’d love to hear all about it in the comment section below! Díaz-Castro J, Ramírez López-Frías M, Campos MS, López-Frías M, Alférez MJ, Nestares T, Ortega E, López-Aliaga I. Goat mlk during iron repletion improves bone turnover impaired by severe iron deficiency. J Dairy Sci. 2011 Jun;94(6):2752-61. Jirillo F, Jirillo E, Magrone T. Donkey’s and goat’s mlk consumption and benefits to human health with special reference to the inflammatory status. Curr Pharm Des. 2010;16(7):859-63. 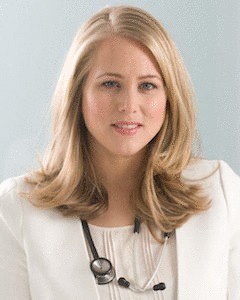 Dr. Kate Morrison is a board-certified naturopathic doctor and co-founder of Kabrita, a line of naturally easy to digest, gentle non-GMO goat milk foods that includes Toddler Formula and Goat Milk Yogurt and Fruit. She also contributes to Kabrita’s blog which promotes confidence and joy in parenting and nutrition. Any recommended goat milk formula for a 7 month old? I’ve started supplementing breast milk with one or two bottles of formula per day and am anxious to find a reputable and organic goat milk formula or instructions to make my own.